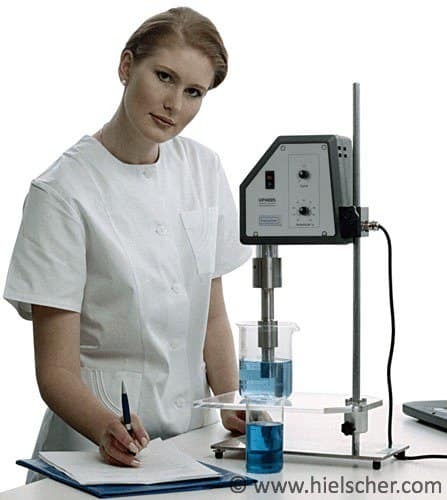 Ultrasonic lab homogenizers allow for fast and efficient emulsifying and dispersing of cremes, lotions, ointments, suspensions and tinctures. Due to intense cavitational shear forces, ultrasonic mixing results in outstanding, unique product qualities. Pharmacists have to blend, mix, emulsify and disperse homogeneous formulations on a daily basis to prepare compounded drugs and customized lotions. Compounding is the mixing of drugs by a skilled pharmacist and requires a suitable homogenization technology. Ultrasound is very effective when it comes to the preparation of uniform, fine-size suspensions, emulsions or dispersions. Whether you need to formulate a customized lotion or tincture, to disperse solids homogeneously in a liquid, or to emulsify oil or fat in a water-based liquid, our ultrasonic homogenizers are the ideal tool for high quality pharmaceutical products. Ultrasound can be very soft and gentle or very intense. You can adjust the power input of Hielscher’s lab ultrasonicators by setting the ultrasonic power between 20% and 100% depending on your formulation and process goal. Further, you can choose from a variety of sonotrodes (also known as ultrasonic horn/ probe) that is suitable for the volume to be processed. One device gives you the freedom for manifold applications! 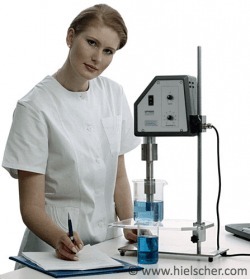 Using ultrasonics for the compounding of medication and for the preparation of ointments and cremes as well as for dissolving of powders or tablets saves you a lot of time. Ultrasonic homogenization is an easy, efficient and fast technique for your pharmaceutical lab. 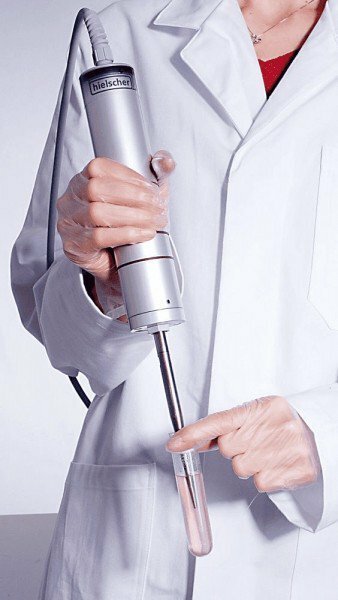 Ultrasonic tissue homogenizers are often referred to as probe sonicator/ sonificator, sonic lyser, ultrasound disruptor, ultrasonic grinder, sono-ruptor, sonifier, sonic dismembrator, cell disrupter, ultrasonic disperser, emulsifier or dissolver. The different terms result from the various applications that can be fulfilled by sonication.